Linking the villages of St. Ulrich, St. Jakob and Hochfilzen, Pillersee ski resort has a friendly and local atmosphere. The variety of sunny and gentle beginner and intermediate runs provides great skiing for novices and families, while experts will love the steeper terrain. Reaching up to 1,456m, the Buchensteinwand mountain has two separate base areas in the resorts of Hochfilzen and St. Jakob. When visiting Pillersee ski resort, be sure to ski the wide open, sunny Gipfelabfahrt piste. Pillersee ski resort has wide open, gentle slopes that offer excellent novice terrain for children. Professional childcare facilities and Bobo's Ski School have superb children's ski programmes for all ages. Track your ski day online! 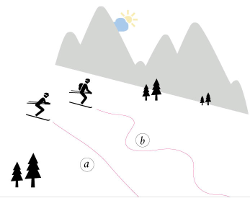 At the end of your day, simply enter your lift ticket number and within seconds you’ll receive your day’s statistics to print out or to save at the "Ski Line" Ski Tracking System. Ski Line monitors your number of runs, vertical feet skied, lifts used, etc. Twice a week in the evenings, on Tuesdays and Fridays from 5:00pm, several slopes are open for ski touring enthusiasts. Pillersee Valley is one of ten Nordic Ski Centers in Tirol. The expansive trail system includes immaculately groomed cross-country skiing trails. Skiing is lots of fun, but don't forget all the other great things to do. There are 100km of groomed trails designated for winter walking covering the whole Pillersee Valley. Or why not try a horse-drawn sleigh ride? Walking all the way up or taking a convenient taxi ride. Either way, night tobogganing on floodlit toboggan runs offers a memorable experience under the stars.